Owning a retail cannabis dispensary is an exciting and challenging career that comes with a long to-do list. And since cannabis is a cash-based business, with pocket-sized inventory coming in and out all day long, loss prevention should be at the top of that list. From a business perspective, loss prevention is a major factor in increasing your bottom line; and from a cannabis compliance perspective, failure to closely monitor inventory can mean loss of license. With so much riding on your ability to prevent loss, investing in the solutions below is a logical business decision. When thinking about loss prevention, there are two kinds of theft to look out for: internal (staff) and external (customer). No one wants to think of their staff or customers as potential thieves, but that’s the unfortunate reality across all retailers -- not just cannabis stores. It’s also true that certain aspects of the cannabis industry make it particularly fertile for theft. We’ll outline these aspects and how to address them with cost-effective loss prevention solutions. The cannabis industry is known for low wages and relying on transitory, part-time workers to staff retail locations. But when a dispensary can pay a living wage, hire full-time staff with benefits, and even offer modest profit-sharing agreements, it goes a very long way for cultivating loyalty. An employee that is well taken care of is less likely to bite the hand that feeds her. Even if you’ve built a cannabis retail A-team you can trust, it’s wise to have more than one employee working at all times with a manager or supervisor on each shift. A worthwhile point of sale (POS) system can be a major factor in loss prevention. Cova POS was made specifically with the cannabis industry in mind. As such, Cova allows you to set permissions for each member of your staff, restricting certain abilities to managers only and prohibiting employees from authorizing discounts for their friends or selling products to themselves. With inventory moving in and out of your retail cannabis store often, regular inventory checks are crucial for preventing loss. Your staff should count cash at least twice per day, once before you open and again after you close. Ideally, these counts would happen after every shift change so you can pinpoint who was working at the time of loss. Dispensary staff should also conduct physical inventory checks regularly. It sounds like a lot of work, but a smart inventory management tool can take the headache out of inventory checks. Cova’s system keeps an inventory count in real time, as every transaction takes place. All you need to do is reconcile your physical count with the ledger. While cannabis security equipment is an expensive investment, you don’t want to skimp out. The cash-based nature of cannabis makes it an easy target for robbery and theft. 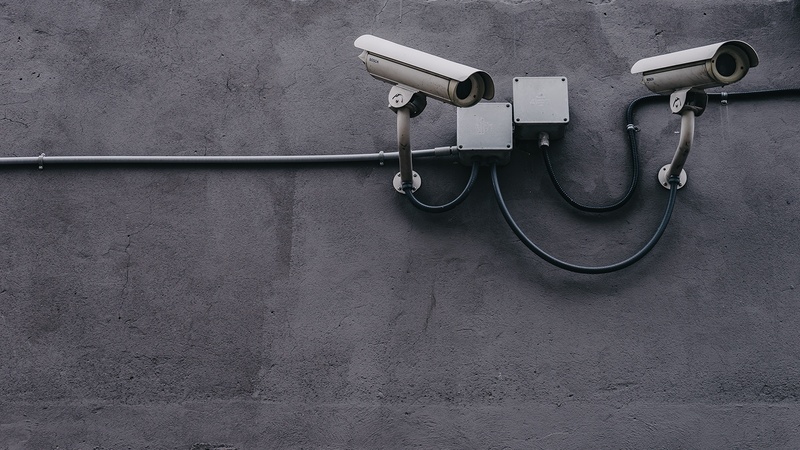 In states like Colorado and Washington, all cannabis retail locations are required to have security cameras and alarms with 24-hour monitoring. All retail cannabis locations throughout the world would be wise to follow suit, even if its not required by local government. And while you’re at it, hiring a security guard to man the door is a great investment as well. Changing up your store’s interior design can prevent loss. Guide the flow of traffic by strategically placing display cases or barriers to keep orderly lines on the sales floor. This will allow your staff to always keep an eye on customers while they browse. You can use these strategically-placed display cases to limit theft as well. Keep all of your inventory behind the sales counter and leave a sample of each in the display case for customers to peruse. At the end of every business day, all of your inventory and any on-hand cash should be locked away in multiple vaults and biometric safes. These should come equipped with 24-hour monitoring and alerts so you immediately know when a vault or safe opens. Only your top supervisors should have access to these security systems. High-tech vaults and safes can be expensive as well, but considering you’ll be storing your business’ life blood in them, it’s a wise and necessary investment. The health of your business heavily relies on your ability to detect and prevent fraud at your cannabis retail location. Investing in loss prevention is simply a sound business decision. Request a demo to learn how Cova can protect your cannabis retail investment.